This marine-rated wiring combines speaker wiring and RGB LED wiring into one easier-to-run cable. Let's be honest: running wiring can be the most challenging part of any aftermarket audio installation. Not always, mind you, but there are times when even our experienced installers need to take a break and go for a walk. And sometimes the smallest vehicles lead to the longest walks, especially when speakers and LED lights are involved. 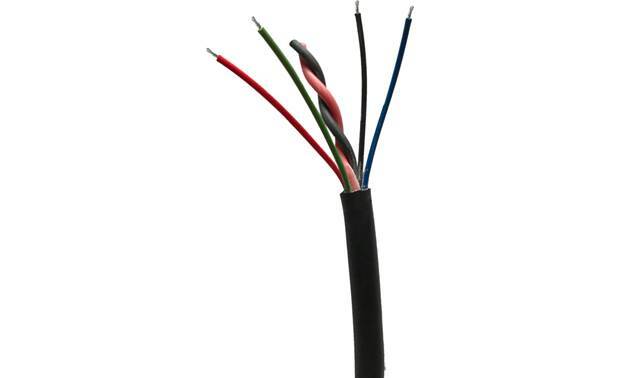 This marine-rated wiring solution makes the job a lot less stressful. In the interest of minimizing your walking-around time (although it is good for you...), Memphis Audio developed special, marine-rated wiring that combines speaker wiring and RGB LED wiring into one easier-to-run cable. Priced per foot, this SW16LED500 cable contains 16-gauge speaker and 20-gauge RGB wiring. Searches related to the Memphis Audio SW16LED500 Marine-rated cable with 16-gauge speaker wire and 20-gauge RGB LED wire — priced per foot.